The LF-SI4 LON is suitable for counting S0 counter pulses. The software contains the LONMARK profile 2201-10 utility meter. 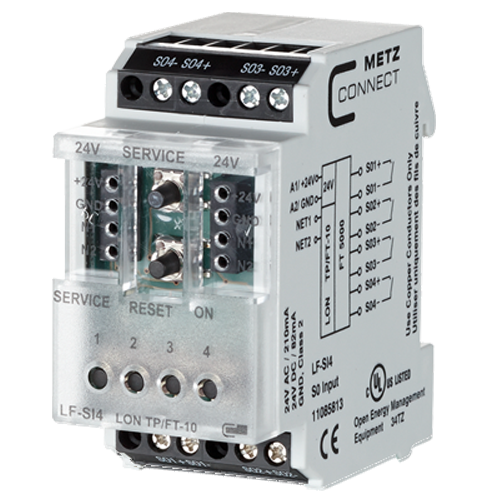 This allows very good integration of the module into a LON-based energy controlling system. 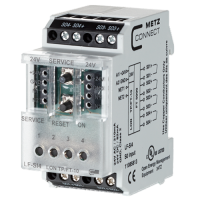 For each channel, the module saves up to 500 data records consisting of counter pulses and time stamps by means of a real-time clock (RTC). This makes it possible to use the LF-SI4 also as data logger. In case of a power failure, the data records remain saved.